Enterprise debate: What's the best multicloud strategy? Many enterprises are having this debate: Is it better to work with a single cloud service provider, or should you work with two or more public providers? 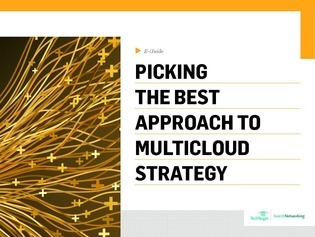 In this expert guide, industry analyst Dan Conde shares his thoughts on the best approach to multicloud strategy.